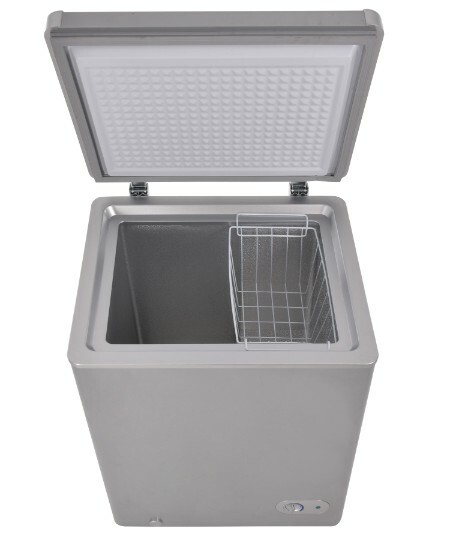 If space is tight there’s no need to worry as this sophisticated compact chest freezer is just 25 inches in width by 22 inches deep. 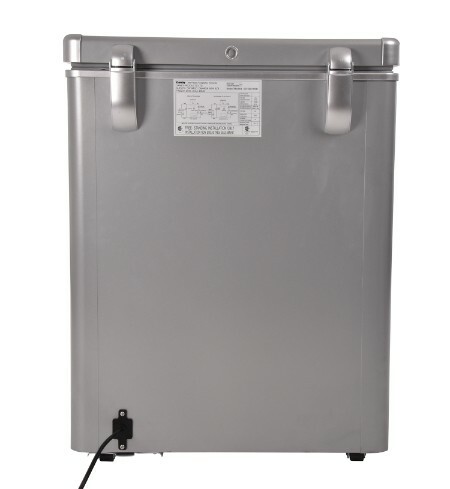 However, it still provides you with a generous 3.8 cubic feet (108 liters) of storage room and can easily be installed in any room, making it the perfect model for offices, cottages, apartments and condominiums. 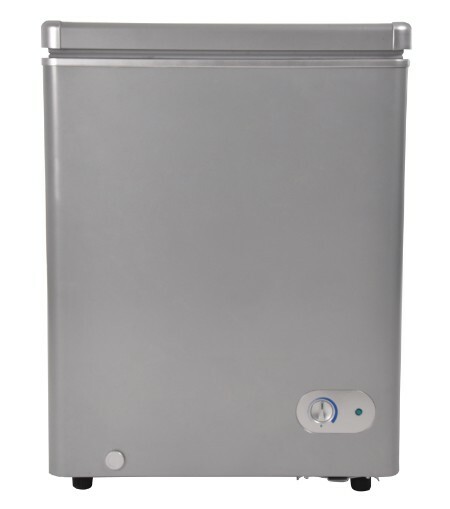 Operating and maintaining the unit is simplified by the manual-defrosting system, the front-mounted defrost drain, and the easy-to-clean interior liner. 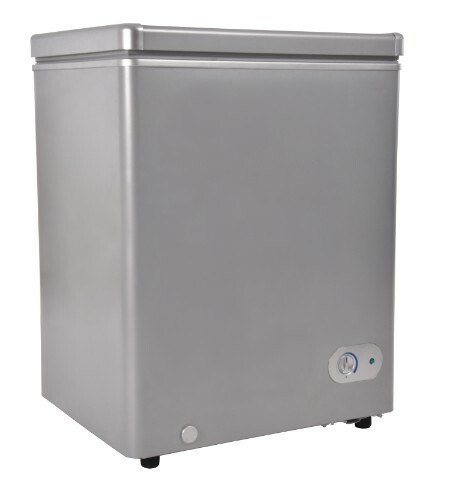 The energy-efficient freezer cabinet and rounded lid are both foam insulated to help keep your electricity bills as low as possible. 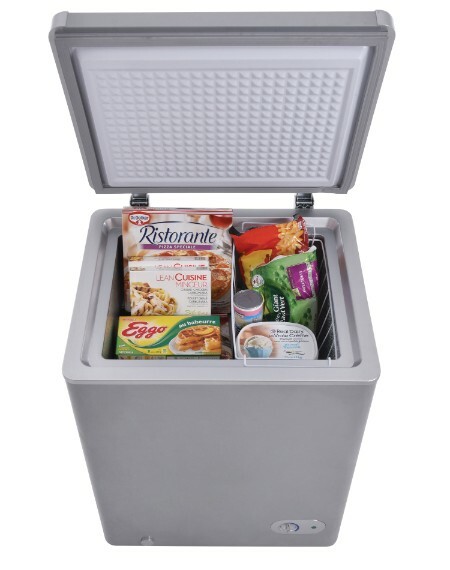 Finding your favorite frozen food items is simplified with the strong white wire basket provided. 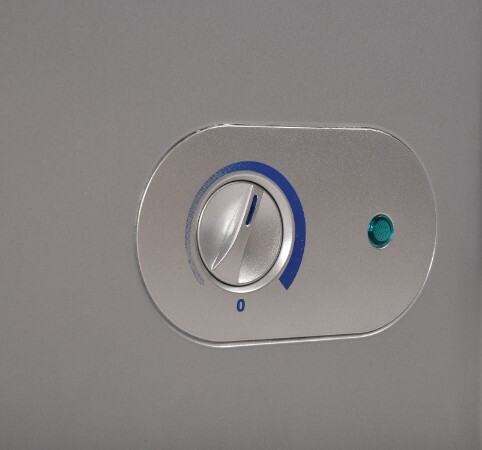 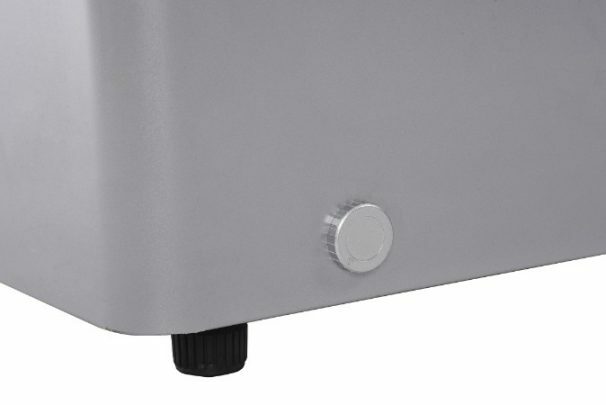 The highly-efficient mechanical thermostat is also front mounted for ease of use and its variable temperature range lies between a cool -12°C and -24°C (10.4°F and -11.2°F). 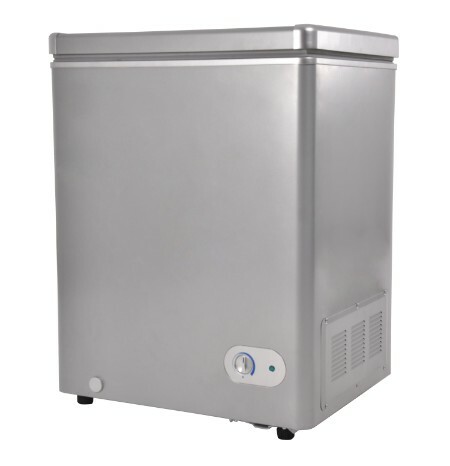 This popular freezer also comes with a worry-free 5-year warranty on parts and labor and features convenient in-home service.